You home can look like a hotel style interior: great design and very convenient to live. 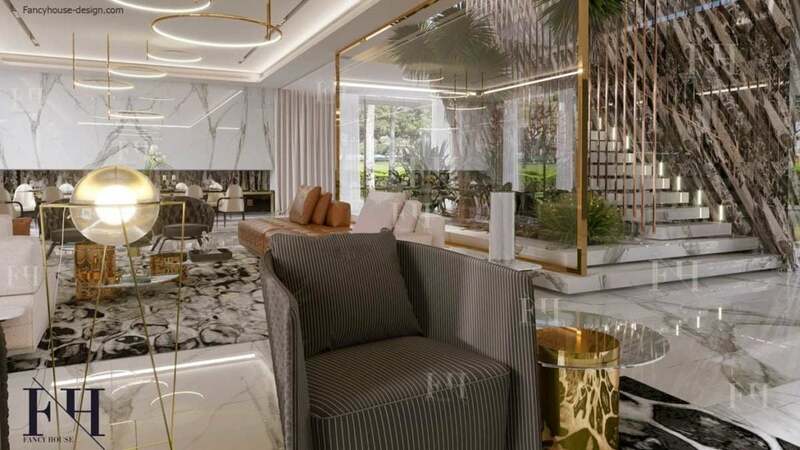 Modern stylish apartments for comfortable life in Dubai. We are pleased to make a new appearance of you traditional Arabic sitting. 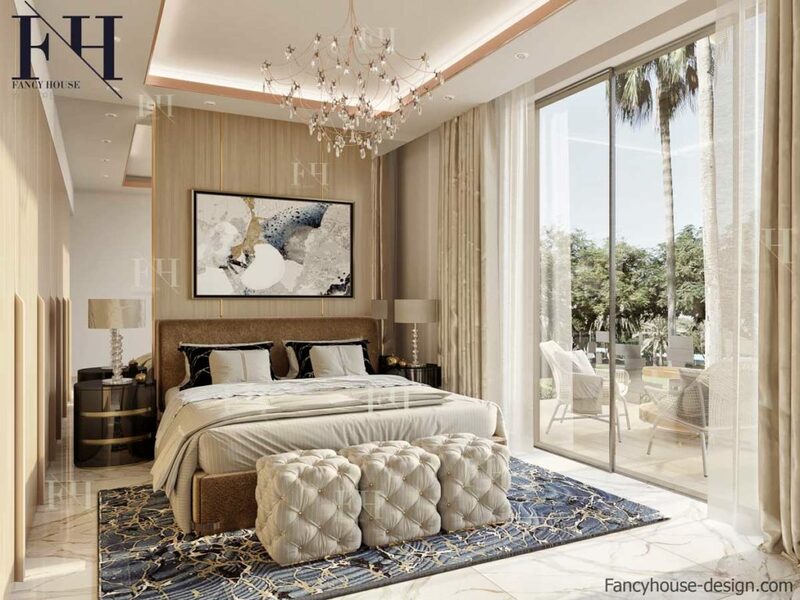 We provide turnkey planning and decoration services for luxury villas & houses all around the UAE. A combination of new ideas & technologies of 2019 year with the traditions. Hotel style interior looks great and very convenient. Many people remain delighted with luxurious and elegant rooms in expensive modern hotels. So why not make your master bedroom design like a hotel room. Moreover, now this idea is becoming more popular in Dubai. 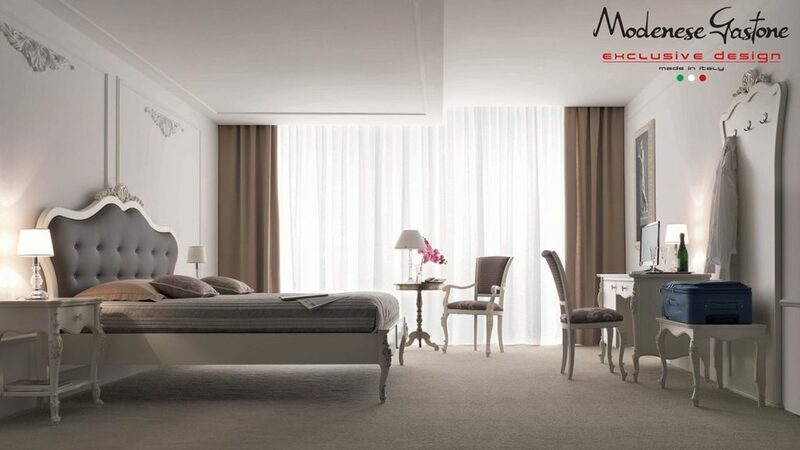 There are many fine bedrooms n our portfolio that looks luxurious, spacious, shining. Take a look. Hotel rooms have a small enough space. The same time there are wonderful and convenient conditions for a variety of activities. Do the same with your room. In order to realize in your house a dream of such an interior, you need an area from 20 square meters. Perfect if the room has a lot of light coming through the large full high windows or from the balcony. The first step is to determine what you want to do in the bedroom except sleep! After that we start the space planning. It can be an area for sleeping (bed), for reading (armchairs or a sofa with coffee table), a place to work (table) and bathroom. The interior design in the hotel style is made from the finest materials: natural wood, glossy panels, velvet, silk. The shades are mostly dark, giving the room an element of mystery. To decorate the walls, we recommend choosing decorative plaster or paint, or dense wallpaper. Flooring: ceramic tile, natural board or marble. 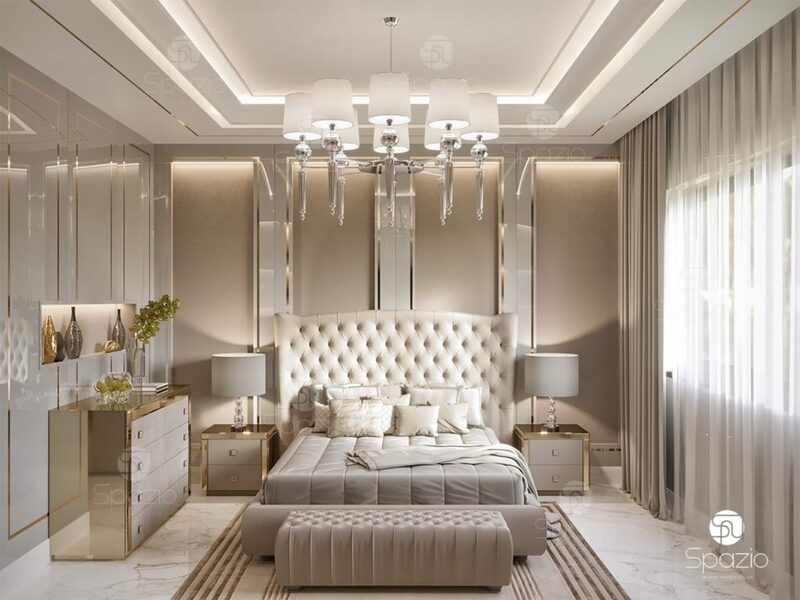 It should be noted that in this bedroom I always put a carpet, so it will be the decoration of the floor, and the floor covering will give solidity and natural luxury. Curtains, bedspreads and even bed linens should complement the interior accents of the decor. Trust the sewing of curtains and cover for professional seamstresses. Piece design is a sign of delicate taste, which perfectly corresponds to the requirement of luxury style. An interesting solution in the hotel style is to focus on pillows and curtains, but we recommend performing them from different fabrics. Here there are options: fabrics of one shade, but of different texture and pattern or vice versa. For example, curtains and bedspreads without a pattern, cushions with a complex pattern, monophonic bedding without a pattern. 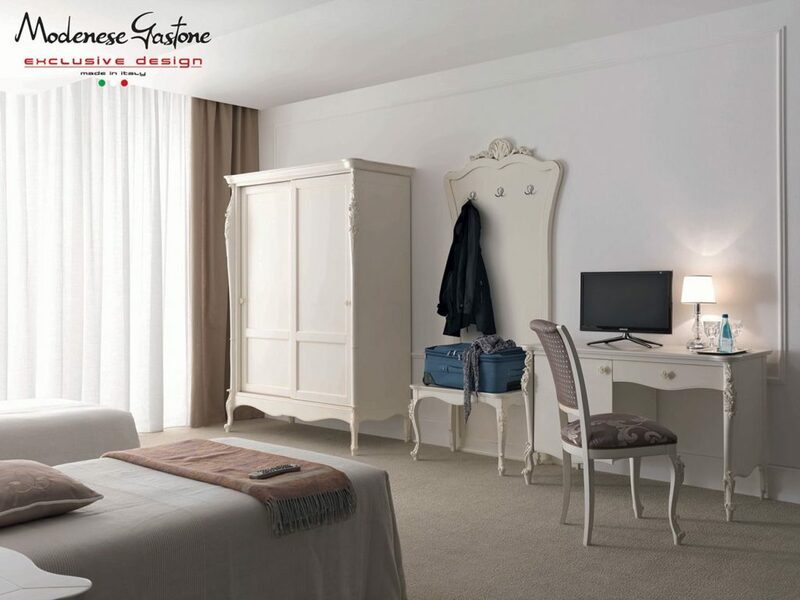 The hotel style bedroom decor style often based on warm, calm, bright colors and tones, visually increasing the space. Design can be made in a single color scheme or we can create a color zoning using different shades of the same color or 2-3 close colors. 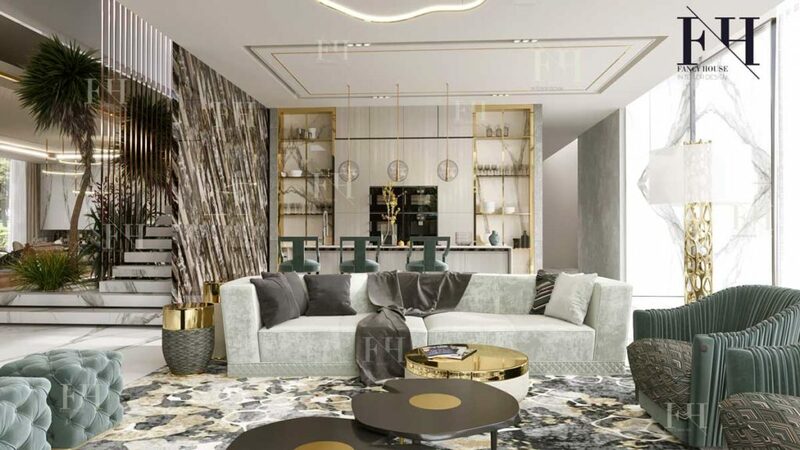 Color accents are created with the help of paintings and individual decor items, textiles: curtains, bedspreads, blankets, furniture covers, carpets and so on. 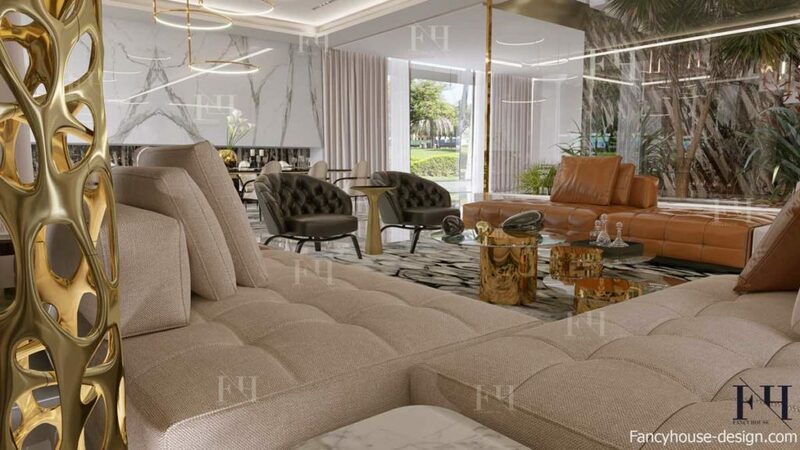 The hotel style bedroom furniture includes a large double bed, elegant bedside tables with table lamps, carpet, armchairs, sofa or couch, coffee table, make-up area, hanging lamps and floor lamps. There is everything for active life and recreation. 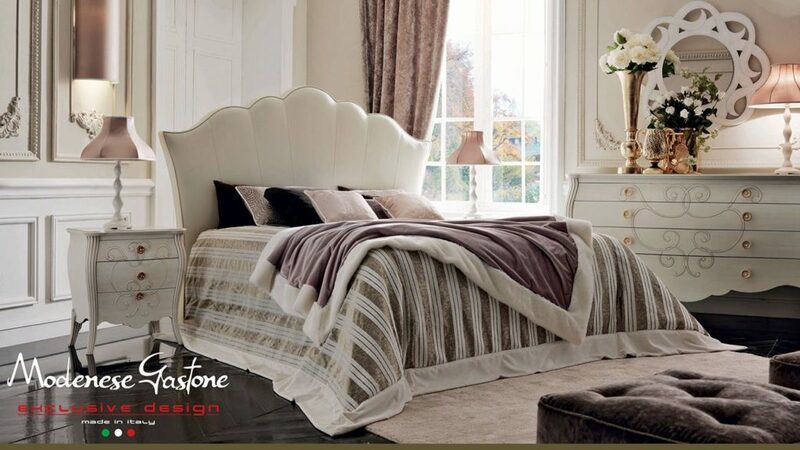 The decisive role in the hotel style bedroom design is played by a bed. Especially carefully it is recommended to think over the headboard for the bed, which should fit in the general appearance of the interior. You can replace the headboard with a canopy over the bed, made of heavy golden fabric, for example. The bed should have a cover of a different color: saturated dark colors, complex shades provide a superb effect. Bedspread, usually made of thick fabric. Notice the small decorative pillows, which look so good on the bed. Multi-colored pads on the bed will complement the overall style of the room. There are many options for decorating the sleeping room with pillows of different size, style, color and pattern. In addition, they are so convenient to use during reading. If space allows, put in the room a dressing table, which will turn morning beauty guidance into a real ritual. 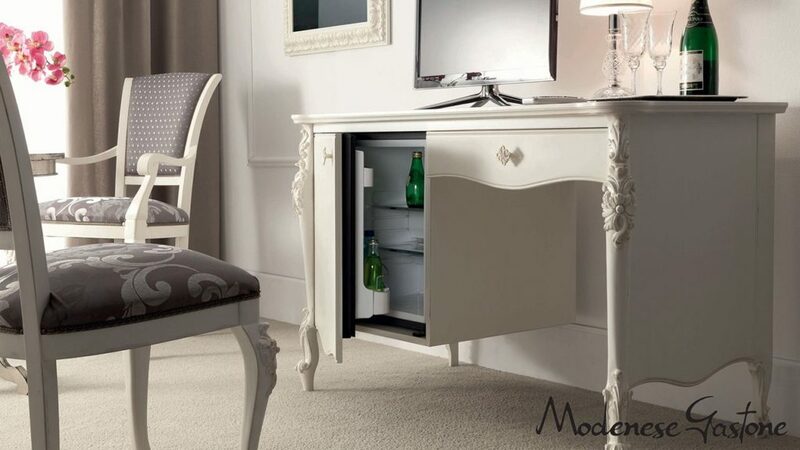 Moreover, the nice dressing table is a fashionable trend in the interior design of the bedroom in 2018. In contrast to the hotel, where many different people live, in private home it is appropriate to put family photos, as well as pictures of classical or contemporary artists and photographers. Do not forget about high-quality lighting. 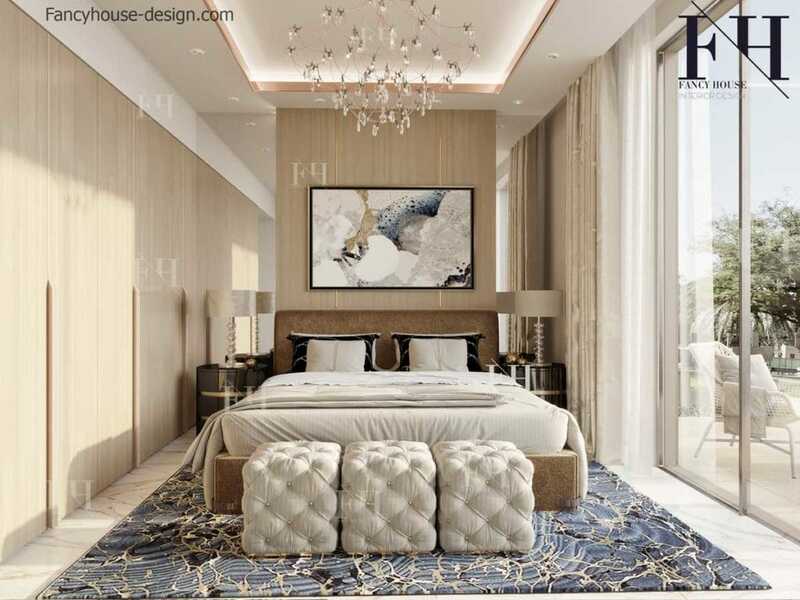 The bedroom in the hotel design requires a balance of lighting: this style does not tolerate the hassles created by very bright lighting, but weak light does not suit also. Especially important are proper lighting of the entrance area, work area and bathroom. As a rule for this purpose we use pendant lights, built-in rotary lamps, illumination near the mirror and table lamps. There a require for additional lamps over the bed and table lamps on both sides of the bed. Also place several floor lamps in different areas of the room. To achieve the desired effect, priority is given to sconces and floor lamps, not to chandeliers. lots of illumination in the bathroom, around the mirror. Glazed shower room, where the flow of water is directed to cover the whole body. A free stand bath or jacuzzi. A pair of deep sinks with large mirrors behind them, a neat pile of fresh and delicate towels and bathrobe. Everything creates an atmosphere of bliss and ease. The master bathroom serves not only hygiene, but delicate sensual joy. Interested to get prices? It is available right here on the website. We are mixing latest trends & ideas to make a dream house design. A dream house starts with a professional planning from a layout to small details. 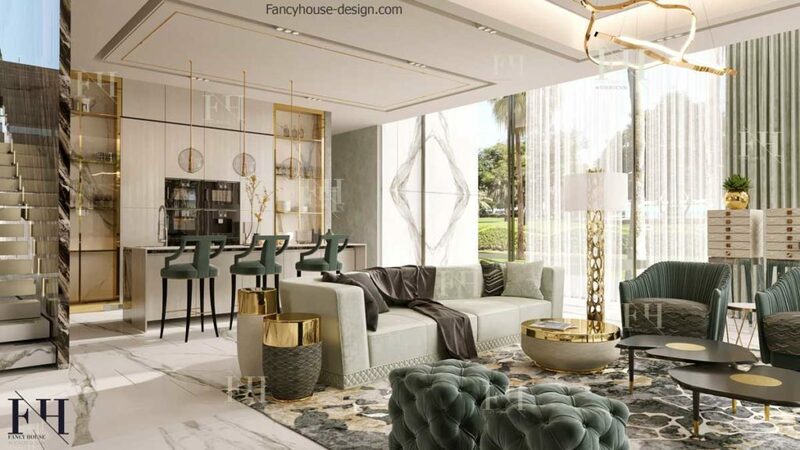 Experienced Designers of Fancy house create an excellent bespoke interiors based on client’s preferences & new design trends. Our prices are fixed & presented here to be transparent for you. 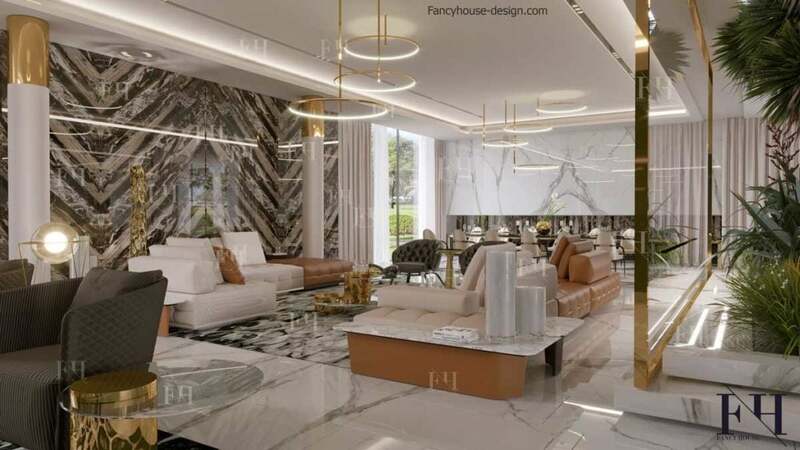 The price includes a full interior design project: 3D, drawings, selections of materials&furniture. If the house size is between 500-700 sq.m., the costs is AED 150 per sq.meter. AED 130 for 700-1000 sq. m. projects. For houses from 1000 sq.meters we charge AED 110 per sq. m. only. Choose villa, an apartment or another suitable to you option etc. Indicate, please, do you want more classical or modern style. Enter, please, your house size in square meters. where is the house located: city, district? Please choose you need a interior design project or fit out works, or both these services. Need an advice or any extra information? Write en email to us trough the form right here.